Hello! 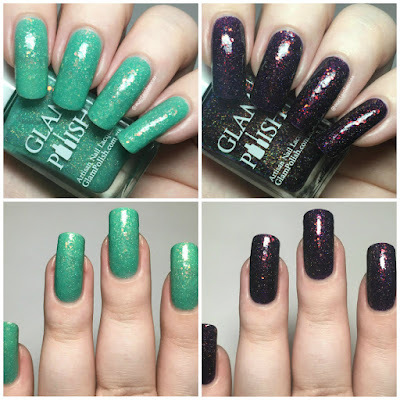 This year for their fan group exclusives, Glam Polish are releasing monthly heroes vs. villains duos. The inspiration 'couples' for each duo are voted on, and began in January with Ariel and Ursula from The Little Mermaid. I'm a massive Disney fan so just had to have them. My boyfriend was nice enough to get them for me for my birthday, along with four others. These had to be the first ones I wore! Read on for my full swatches and more info. 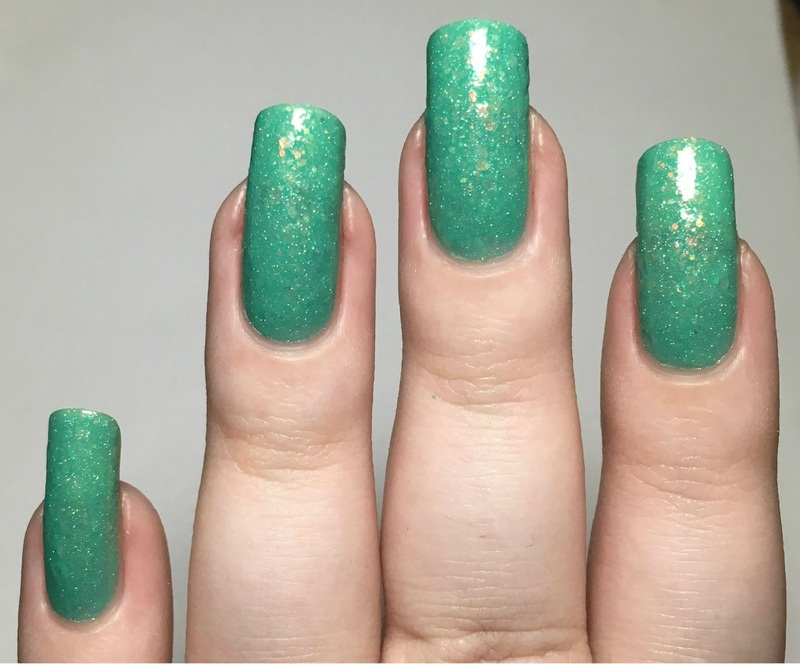 'Whozits and Whatzits Galore' is a seafoam green crelly with shifting iridescent glitters and a fine holographic microglitter. 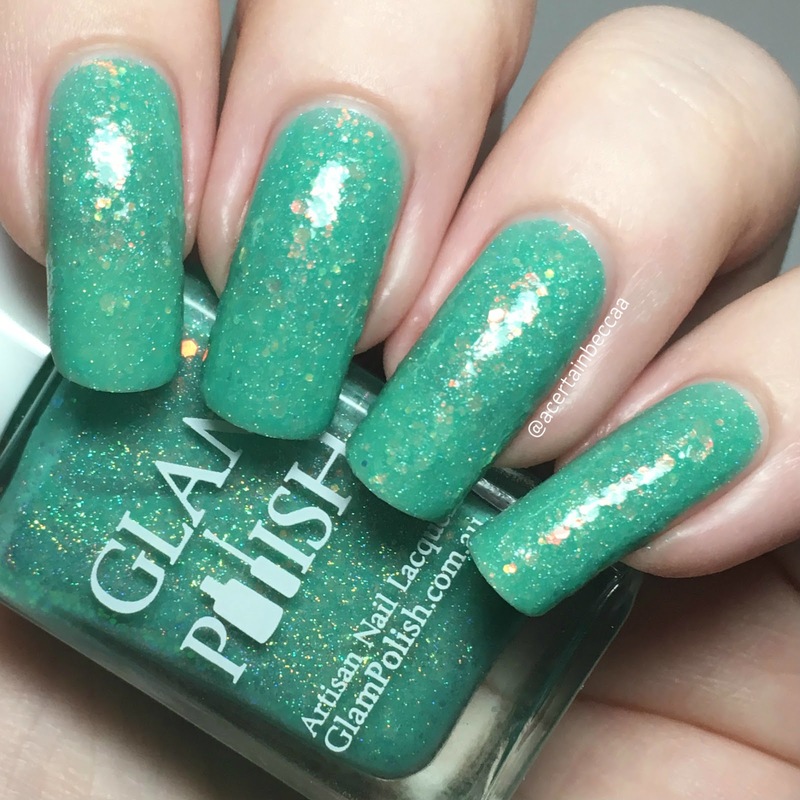 This is the polish inspired by Ariel. The formula does feel slightly thick as it is packed full of glitter, but it is still easy to apply (unless you do overly thick coats). It is slightly sheer on the first coat but builds up easily in two. It does dry down slightly textured, so I would recommend topcoating. Below is two coats and topcoat. 'Life's Full of Tough Choices Innit?' is a deep purple jelly with the same iridiscent glitters and holographic microglitter, but also with some added glass flecks. This is the shade inspired by Ursula. This has a very similar formula to the first one, although slightly more opaque. It still needs a second coat to cover fully, and again dries down textured. Below is two coats and topcoat. What do you think? I'm so happy with this duo! I had hoped to do some nail art for them, but I couldn't bear to cover either polish up - they're gorgeous! If I was going to pick a favorite it would definitely have to be Ariel's shade. That seafoam green colour is just amazing. My boyfriend disgrees though, he's on Ursula's side! 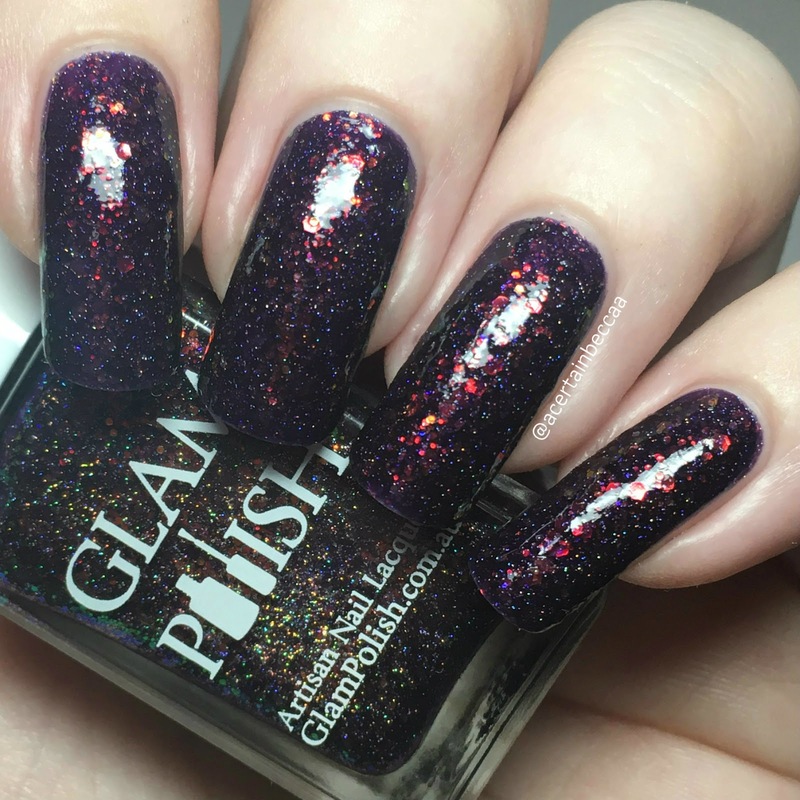 This duo is available now on the Glam Polish website - 'Whozits and Whatzits Galore' here (as a preorder), and 'Life's Full of Tough Choices Innit?' here. 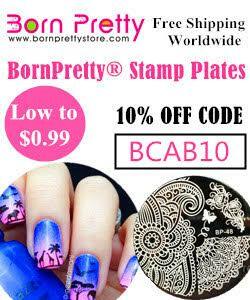 You must be a member of the Glam Polish FB fan group here to order these (and for a discount code). For those of you in the UK like me, you can order through the UK Facebook group here. 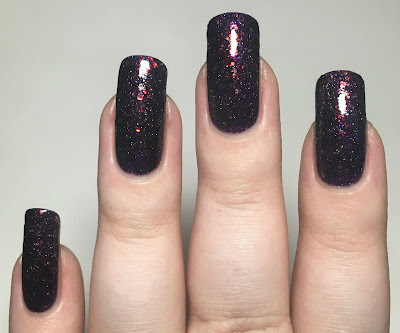 That iridescent glitter adds a gorgeous punch to the color! I'm with you, I love the shade of green in Ariel! This makes me want to watch The Little Mermaid again! I love the green shade! The little mermaid was my favourite! Oh! These are so pretty! These are gorgeous! Glam Polish makes the prettiest polishes! Ooh gorgeous swatches & the polishes are very pretty. Ooooh that sea foam green is so pretty! These are both gorgeous - and I LOVE the names! These polishes are spot-on. Great swatches! Very nice polishes -- your nails are gorgeous, btw. So long and perfect! I love Life's Full, perfect vampy glitter lacquer!! !